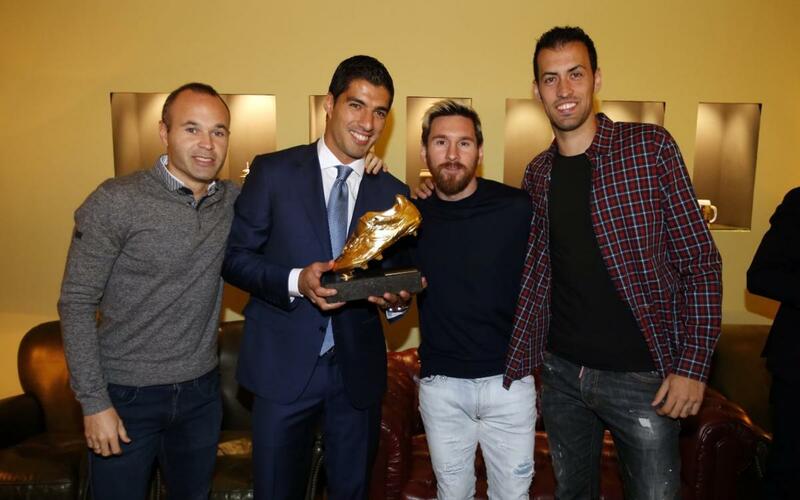 On Thursday at midday, FC Barcelona striker LuisSuárez was officially presented with the 2015/16 European Golden Shoe, an award he earned as last season's leading goal scorer among Europe's domestic leagues. It was an emotional day, one in which Suárez was handed the trophy by his two children, Delfina and Benjamín. This video takes a close look at the day's events, which took place at the old Estrella Damm factory in the Catalan capital, where Suárez was accompanied by Barça's first three captains, AndrésIniesta, LeoMessi, and SergioBusquets.